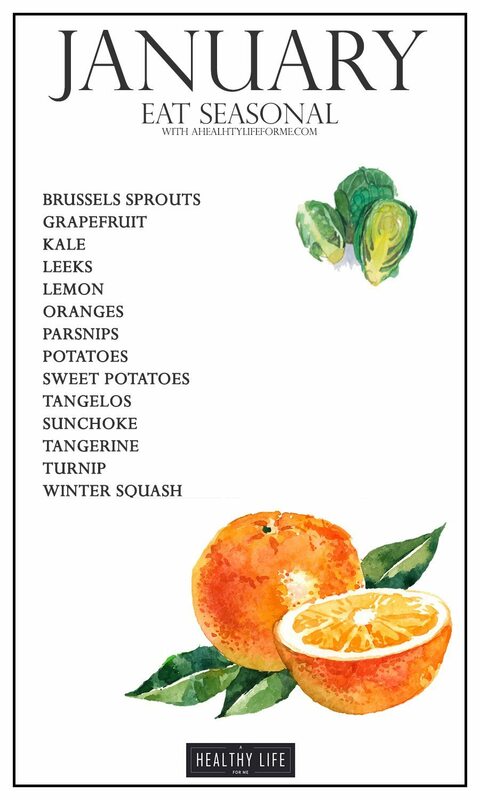 Seasonal Produce Guide for January is all about potatoes, and citrus. 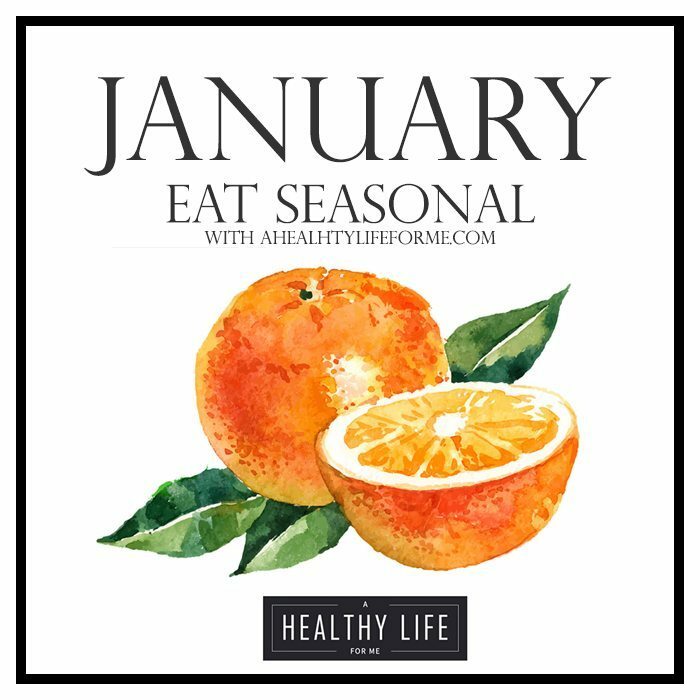 It is a New Year so start it off right by eating the freshest foods available. That means buying as many things seasonal as you can. 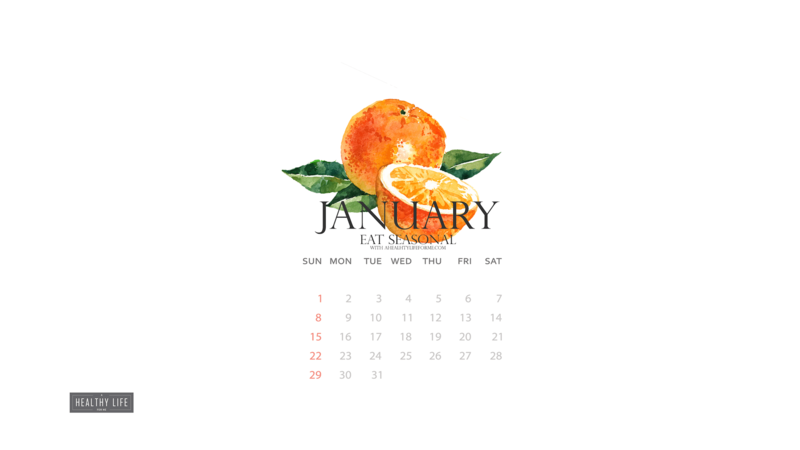 Click here to download FREE desktop January Produce Calendar 2017 WALLPAPER. Thank you for your continued support and love! Have you ever thought about making a kitchen calendar with your eat seasonally pictures? I just found your site for the first time today and love, love, love your art work and clean pictures. Anyway, if you do a calendar please let me know. (I though about using your pictures and making my own personal one, but unsure about copyrights). Hi Melissa, Thank you for your kind words! I am working on a 2017 calendar. Keep your eyes peeled for it soon. Hi Amy! Great guide (and cute too, I particularly liked the artwork!) But maybe it would be a good idea to let others know that this guide is not just seasonal, but also local, and it only applies applies to a specific area. For exemple, where I live, the peak season for strawberries is April/May, not June/July as your guide suggests 🙂 Cheers! I love your Eat Seasonal Monthly guide. I do have it pinned to refer back to for menu planning and shopping list. But I also think it is very attractive and would love to have posters of the 12 months to hang in my pantry. Might you consider printing them?